Sticky Bun Monkey Bread - Chocolate Chocolate and More! 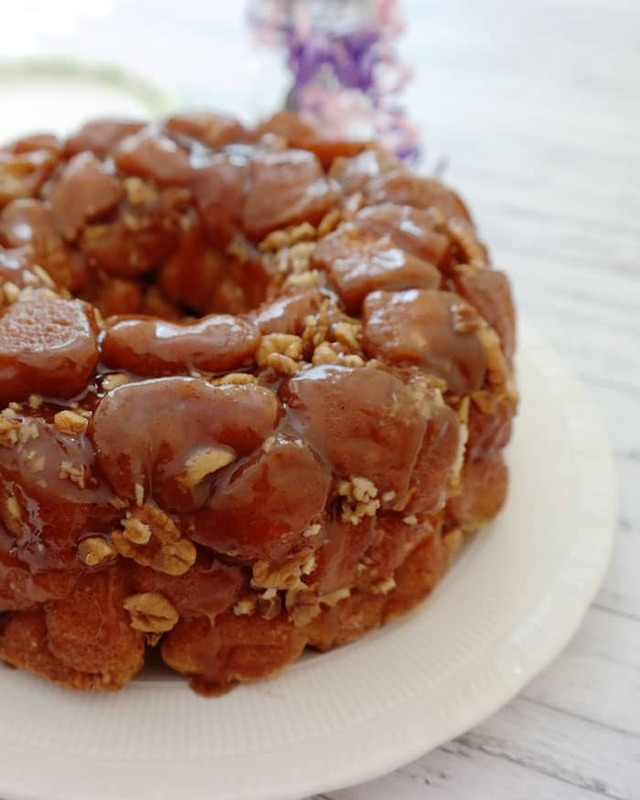 Sticky Bun Monkey Bread, a step up from plain Monkey Bread, Just look at all that caramel, yum! 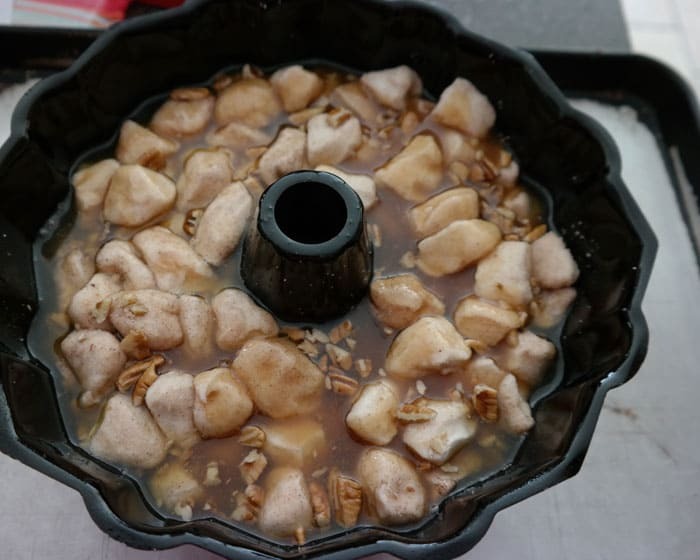 Monkey Bread is my go to recipe whenever the kids have a sleep over. It’s fast, it’s easy, and of course everyone loves it. So what happens when I’m tired and I miss measure one of the ingredients? A delectable, heavenly, scrumptious new favorite. I was just trying to change things up a bit and use the Pioneer Woman’s recipe. Her way was no messy fingers. But I was tired, only on my first cup of coffee, and I’d hurt my elbow roller skating the night before. And I buy the bulk butter from Sam’s Club. Best kitchen mistake I’ve ever made! just look at all that melted butter! Wipe the drool off your chin. This Monkey Bread looks like any other when you pull it out of the oven. Let it rest for 10 minutes before turning out onto a serving plate. If you’re a nice mom, call the family in, or if you’re at my house, snap those pictures fast because everyone’s already lined up with plates, forks, and the milk. In a large Ziploc bag, combine sugar and cinnamon. Shake to combine. Set to the side. Place butter and brown sugar in a medium saucepan and set on low for butter to melt. Crack open cans of biscuits and start slicing into quarters. Place biscuit slices into the bag with your cinnamon sugar. Zip Closed and shake to coat completely. Start layering coated biscuit slices and chopped pecans into a greased bundt pan. Set to the side. Check on your butter, it should be completely melted. Stir to combine. Pour butter syrup over top of the biscuit slices. Place in the oven and bake for 35-40 minutes. Till the biscuits are completely cooked. Remove from oven and let sit for 15 minutes. Carefully turn monkey bread out onto plate. Caution, Sauce is HOT and will burn you. you can also melt the butter in a microwave safe bowl and then stir in the brown sugar until sugar dissolves. An addition 60 seconds in the microwave may be needed to completely dissolve sugar. Everyone loves the combination of bread, lots of caramel stickiness and pecans! Oh man, is it wrong that I want to become friends with your kids so I can come to their sleepovers and enjoy your delicious treats in the morning? That looks amazing, Joan. I love it when mistakes in the kitchen turn out for the best! Lesa, you can come on over any time, we can make a batch for adults only! Oh my! I’m sure everyone enjoyed this! Oh yummy! 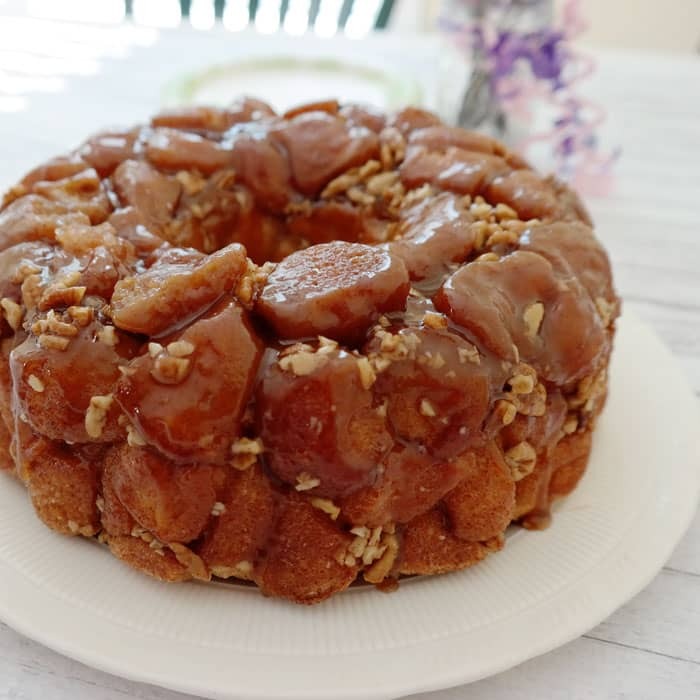 Your monkey bread looks amazing Joan! I will say that I have made this before and it is delish, BUT, I rolled them one at a time in the cinnamon and sugar and it took FOREVER. THANK you for sharing this fabulous tip to just toss them all in the bag!!! Seriously grateful. I also rolled the biscuit pieces one by one…now I’ll flip them into a plastic bag, pour the butter mixture in after them & mix them together…saving so much time…yay! 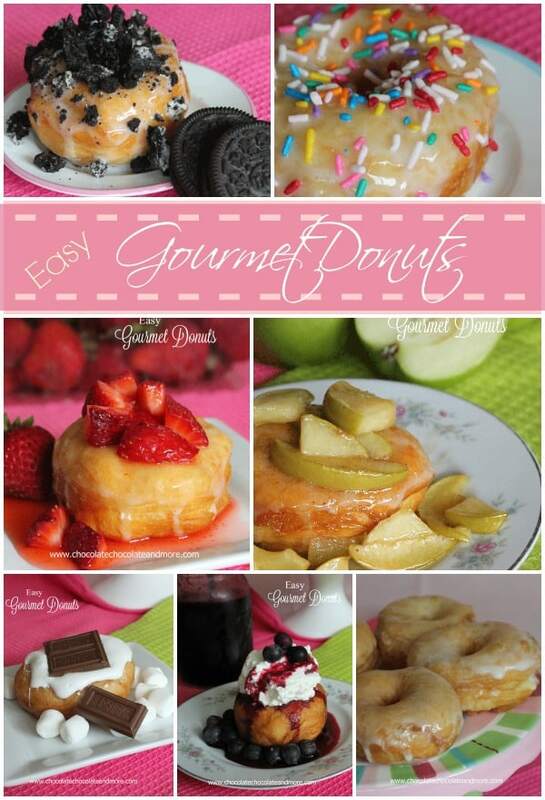 This looks so good–and so decadent! 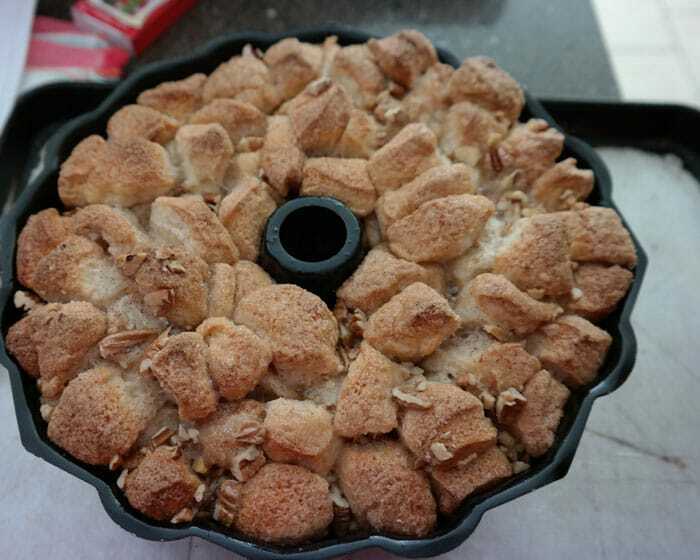 I’m really going to have to try making monkey bread one of these days! I can’t wait to try this recipe. Thanks for sharing, and I love the blog. I think this sounds like a great recipe. The kinder way to post your comment might be “for an even yummier monkey bread try bread dough in place of the canned biscuits” There was no need to be rude. .I have found that even though I normally don’t buy canned biscuits that recipes like this show me there is more useful ways to use them as shortcuts and they turn out great and save time in the process. Rude? How on Earth did you get rude from her description? Regardless, I’ve made monkey bread before but not as delicious as this looks. Thanks for the recipe! 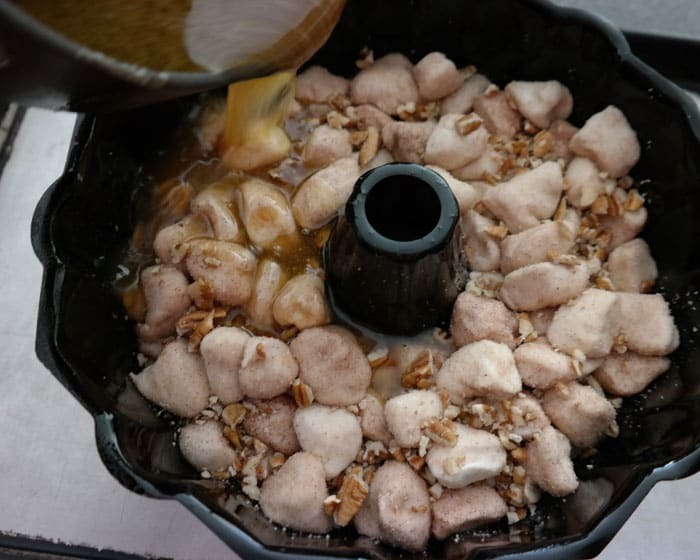 Ok, I have never made Monkey Bread, but it is something I’ve always wanted to try. And your recipe is the best one I’ve ever seen. So, after I coat the biscuits, when I put them in the bundt pan, is there a special way of doing this, or do you just layer then in? Then you just add the nuts, and the syrup? Does that make the nuts come out on the bottom? Or can you add them with the biscuits to the make them through out the bread? I’ve never made Monkey Bread, because I’m kinda scared off making. And my husband and I have tried and tested a lot of recipes. This seems like a simple recipe, so it’s not complicated? Sorry, I want to try this really bad and I just don’t want to mess it up. Thanks!! Oh my goodness! This is ridiculous! What a great recipe! Do you have frozen bread dough? That would work as well. 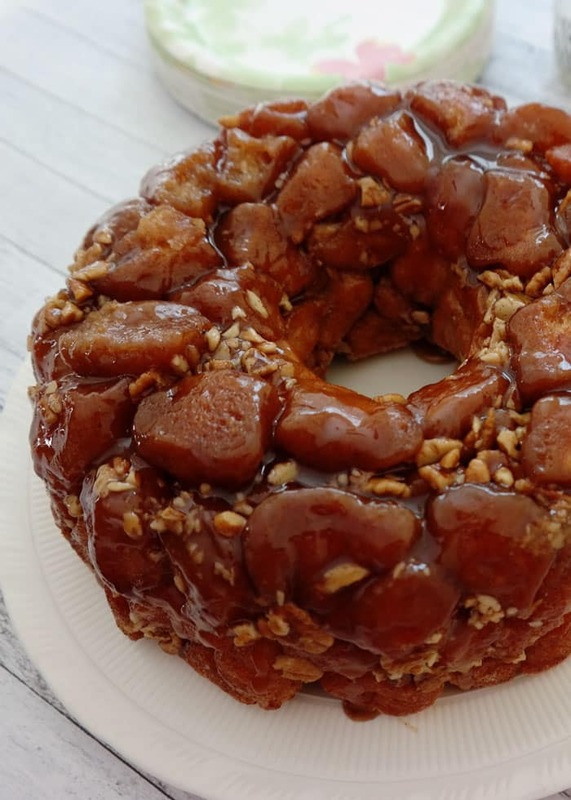 Your Sticky Bun Monkey Bread looks delicious and I would love to Make it but as I am from Australia, I am wondering what refrigerated biscuits are or what I could use in place of them. If you have frozen bread dough available in your area, that would also work. Otherwise you would need to make a bread dough from scratch. Thank you! I’m in South Africa and was baffled too! Hi! I found your website through facebook and I must say that I am hooked. Absolute fan right here. You are truly an inspiration. I’ve already saved numerous recipes to my “absolutely must try” list of recipes. 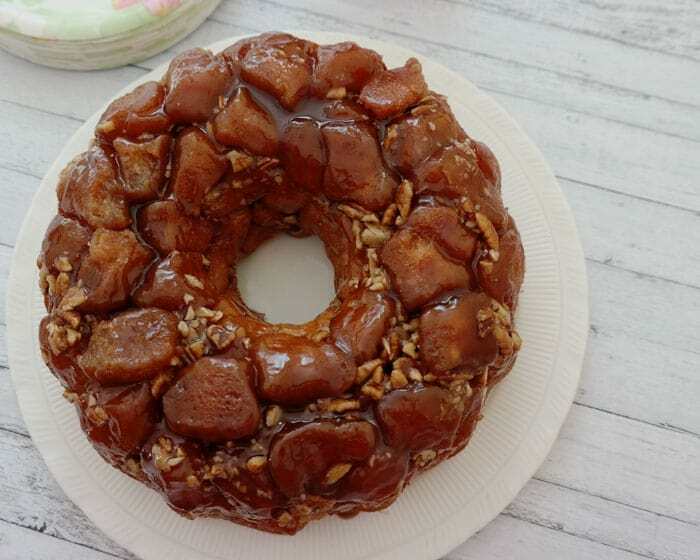 Now, about making sticky bun monkey bread. Is it an absolute must to bake then in a bundt pan? I have this tiny-ish microvave oven (a surprise gift from my work party) that can only fit a round or square pan. A bundt pan is definitely too tall. What altercations must I make? Such as baking time and what not. I would half the recipe and then make it in the smaller pan, Also, you will probably only need to bake it for about 25-30 minutes in the smaller pan. Enjoy! Is it supposed to be 3 cans of regular-sized biscuits or “Grands” biscuits? Thank you! It’s 3 cans of the regular biscuits. I usually buy the 4 pack. I was wondering if there is a way to make these without using store-bought biscuits? Is there a homemade biscuit recipe that could be used in place of the store-bought biscuits? I do not use any processed foods with artificial ingredients or preservatives. Haha you’re very welcome, I’m glad you and your son enjoyed it!